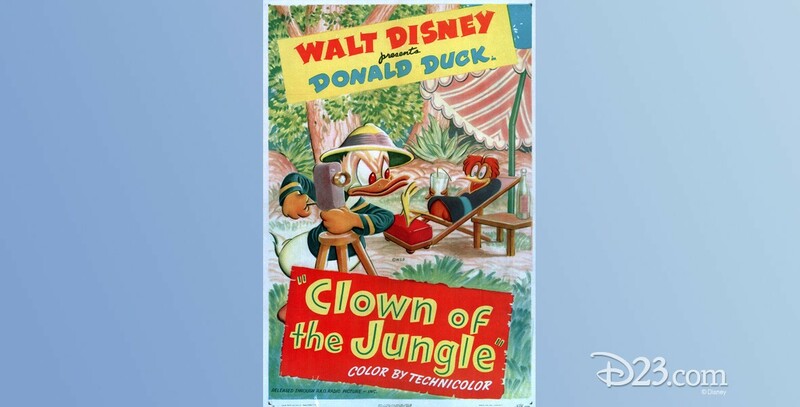 Clown of the Jungle (film) Donald Duck cartoon; released on June 20, 1947. Directed by Jack Hannah. Photographer Donald is harrassed and driven half-mad by a crazy Aracuan bird who keeps sabotaging his photography of the jungle and its animals. The bird starred earlier in The Three Caballeros and Melody Time.